UPDATE ONE: The Anthem VIP demo end time has arrived, meaning fans will have to wait until February for more action; meanwhile, BioWare has promised a new Javelin surprise for those players affected by issues this weekend. It’s fair to say that the Anthem VIP demo got off to a rocky start on PS4, Xbox One and PC and had a hard time recovering. While not being called a beta test, it seems like BioWare have plenty of bugs to look at, including the infamous infinite loading screen. The good news is that they have time before the next Anthem demo kicks off, which won’t be until next weekend. And those who were affected by issues connecting to the game will be given a bonus to make up for it. "We appreciate everyone’s patience and sincerely apologise for those who have had issues getting into the game. As a token of appreciation for your enthusiasm and any issues you encountered, we’re giving everyone who participated in the VIP demo weekend an additional new vinyl at launch," a message from the Anthem dev team reads. "We believe we’ve created an amazing game and we’re doing everything we can to ensure our entire community can enjoy it. We’re committed to keeping an open conversation with our community as part of our Live Service well into the future. (We’ll also have some cool news to share soon on our plans for the game after we launch — stay tuned!)" This weekend has been dominated by news of the new Anthem VIP demo on PS4, Xbox One and PC. It has also seen a lot of technical issues hit the testing period, especially on Xbox One. This included players getting caught in infinite loading screens, as well as wider problems with connectivity. This was expected due to the nature of the demo and how BioWare have been using it to get rid of bugs. However, it should also be noted that Anthem demo end time is fast approaching and unless BioWare extends the runtime, will be over soon. According to an earlier post by Electronic Arts, the Anthem VIP demo is set to end in the coming hours on PS4, Xbox One and PC. For those in the UK, the Anthem demo is scheduled to end at 2am on Monday, January 28. That will be a little earlier in other regions, meaning a completion date on Sunday, January 27. BioWare has not announced plans at this time to extend the VIP demo past the current point due to technical issues. These problems have stopped many players to enjoy the full extent of the VIP demo this weekend. “Yesterday was rocky. The first day of our VIP demo weekend did not go exactly as we planned, and I want to share what happened. “We’ve been testing the entire game and platform for several months, but there were a few things we missed; real-world play frequently leads to unexpected issues. Before I share details on this and what we’re still facing, I want to dispel one comment we’ve seen: that we under-planned for server capacity. “To ensure stability, we intended to manage our servers to match the player population as it grew. Overall, we had excess capacity prepared for population increases, and continue to do so. For those hitting an *infinite loading screen when you get to about 95%, we do have a possible workaround, depending on your situation. Close the game client.Relaunch the game client.If it asks to rejoin the expedition press the indicated button to connect. 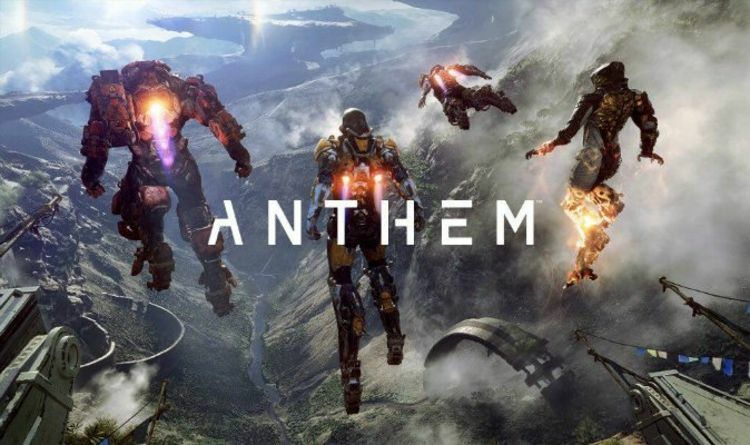 The good news is that a second Anthem Demo is being scheduled by EA for next month. The open demo, available to everyone to download on all platforms, is scheduled to run from Friday, February 1 to Sunday, February 3. The demo will go live at the same time as the VIP test run, around 5pm in the UK. Central Europe will get access at 4PM, the United States East Coast at 12pm and the West Coast at 9am.